I heard a statistic that piqued my interest last week. 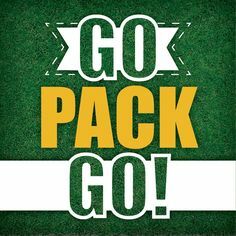 50 of the 53 players on the Green Bay Packers roster have only ever played for the Green Bay Packers. Isn’t that outstanding?! In fact, in doing more research, they have been over 85% “home grown” (applying the Approximate Value metric developed by Pro-Football-Reference.com) since at least 2008. They are by far the leader in homegrown talent in the NFL, and their winning record reflects that. Only two teams in the top 10 ranked “Percent Homegrown” in 2014 had a losing record, when 7 of the bottom 10 teams had a losing record. Even without doing more detailed statistical analysis, the numbers talk. What lessons can an organization learn from one of the leading teams in the NFL? Draft Well. Aaron Rodgers was passed over 23 times before the Green Bay Packers selected him as the 24th draft pick in the 2005 NFL draft. Look at him now! The Green Bay Packers and Ted Thompson have traditionally played it conservatively and drafted for the long term. They resist trading up and blowing their budget on high ranked players and focus on maximizing their picks to fill their immediate needs as well as needs they know they will have within the next few years. I wish I could read Ted Thompson’s mind; if I could, I would guess that he is looking at a player’s past performance statistics as well as whether he believes he can represent the Green Bay Packers well and be an effective member of the team. The Lesson: Do a good job of defining your needs before you start recruiting and consider using a job benchmarking process to fully understand the behaviors, motivators, and competencies an individual needs to perform well and be an effective team member. Select employees that can grow with the organization, have the right behaviors, and a foundation of skills that can be built upon with specific job training. Be cautious when selecting the most highly ranked talent – the goal is to have a high performing team vs. a group of high performing individuals. Focus on Retention of Top Talent. According to ESPN.com, the Green Bay Packers are the top team in retaining offensive talent – retaining 95% of their offensive snaps made in 2014. In other words, they recognize when they’ve got a good thing going and work to keep it. Sometimes that might mean making some tough decisions at the other end of the talent spectrum – either by paying some lower salaries or by making cuts altogether. While Aaron Rodgers signed a 5-year contract at the draft, you can bet they had a strong message and retention strategy for him to keep him engaged and committed even though he wouldn’t be the team’s starting QB until 3 years later. The Lesson: Find out what motivates your top performers. Not everyone is looking for more money. Some may be motivated by being asked to lead a team or special project, a title change, or improvements made to their offices. Create an environment of ownership and empowerment so that they feel connected to the overall goals of the organization, and that they can impact the organization’s success. Develop for the Future. Randall Cobb only had 25 receptions for 375 yards in 2011, his first year with the Packers. Compare that to 91 receptions for 1,287 yards in 2014, and being named as an alternate in the 2014 Pro Bowl. Jordy Nelson had a similar story with 33 receptions for 366 yards in 2008, compared to 98 receptions for 1,519 yards in 2014. Jordy’s first 1,000+ yard season was in 2011, 3 years after he was drafted. Aaron Rodgers wasn’t the starting QB until 3 years after he was drafted. These are just a few examples. What was happening with these players during the first few years on the team? They were learning the plays and techniques, training their brains and their bodies, and being mentored by some of the best in the league. They were not the all-star pro-bowl players they are now – they made their share of mistakes, and they had good mentors, coaches, trainers, and teammates to help them grow. The Lesson: Development, development, development. Provide learning opportunities by letting them play a smaller role in a bigger project. Give them more responsibility as time goes by. Encourage formal and informal mentoring relationships. Teach them the right plays. What are the techniques, skills, behaviors, knowledge and experiences they need to grow into the future leaders of your organization? Take a focused and intentional approach to developing your team. The Green Bay Packers have had a strong start to the 2015 season at 4-0 so far, even with some key injuries. Their bench strength is proving to be strong despite those injuries, in large part due to their draft, retention, and development strategies. Wood Consulting Group, LLC’s mission is to partner with organizations to help them achieve their best results by developing their people and creating great workplaces. This will be achieved through training and development, strategic planning processes, employee engagement, succession management, organizational design, team development, performance management, coaching, and supplemental human resource activities. We believe in the power of understanding our own behavior and helping others understand theirs as a foundation for most of our business activities and have partnered with TTI Success Insights to provide the power of DISC, motivator, and competency assessments to our client organizations.